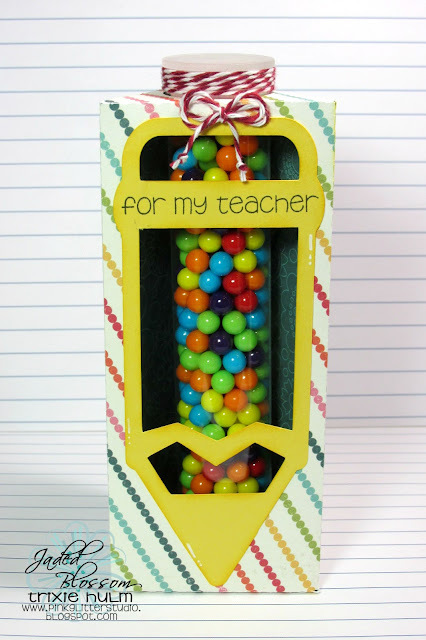 Trixie here and today I have a Back to School Treat to share with you. 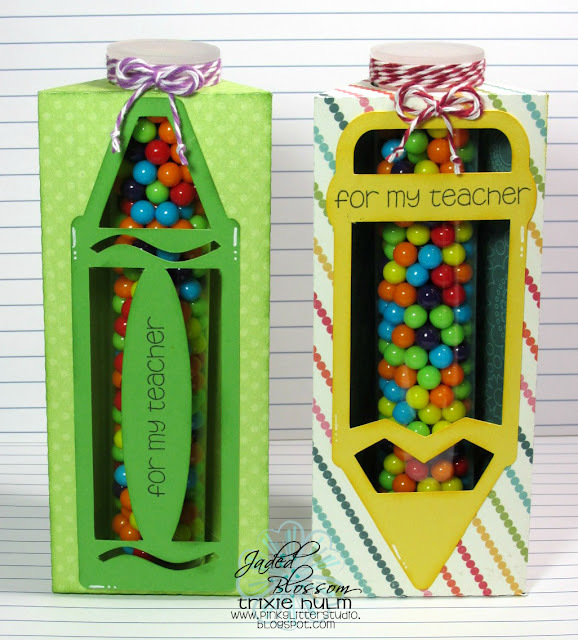 I made some Teacher gifts for my kids 1st Day of School...can't believe it's almost here. 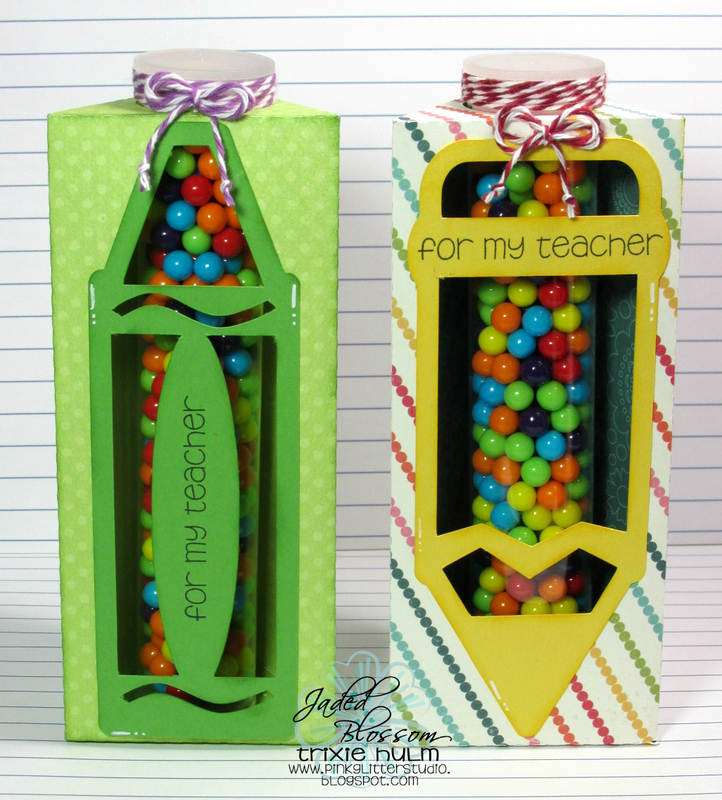 I used the NEW School Tube Holder Set file from SVG Cutting Files. I am in love with these tube holders!! The sentiment is from Jaded Blossom's School Rules. Added some twine from Trendy Twine and The Twinery. I LOVE this Crayon Tube Holder. It's perfect for my son's Preschool Teacher. 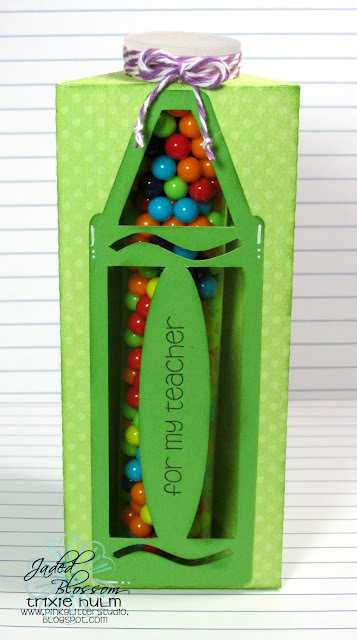 I used the Pencil Tube Holder for my daughter's 5th Grade Teacher. <3 this how super cute are these treats.